If you haven’t read the story about the so-called Bodega Box, go here and languish in the horror. The gist is that two Silicon Valley bros have invented something that is definitely-not-a-vending-machine, and in true tech bro fashion, are gleefully marketing it as the thing that will make mom-and-pop bodegas obsolete. Luckily, Twitter was on hand to demolish them for the incompetent, soulless capitalists that they are. Here are the best tweets about the Bodega Box…you might notice some repetition. 1. "Ooh let's kill small, local businesses!" 2. This is a vending machine you numbnuts. Please call your Senators and tell them a luxury vending machine cannot and will not make you a perfect sloppy egg and cheese at 2AM. "What if we made a vending machine, but we made it harder to use and we also put small minority business owners out of business?" A vending machine isn't part of the community. People running our corner markets are. anyway, if a store on the corner isn't convenient enough for you, it ain't convenience keeping you out of the bodega. it's the people. 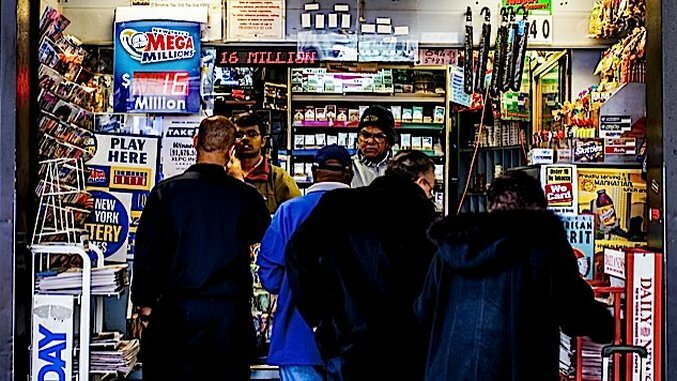 'Real bodegas are all about human relationships within a community' just because we can disrupt an entire sector…should we?